Dr. Gilberto Debelian received his DMD degree from the University of Sao Paulo, Brasil in 1987. He completed his specialization in Endodontics from the University of Pennsylvania, School of Dental Medicine, USA in 1991 and received the Louis I. Grossman Postdoctoral Student Award in Endodontics. He taught as a clinical instructor and associate professor at the post-doctoral endodontic program at the Department of Endodontics, University of Oslo, Norway from 1991 to 2001, and from 2006 to 2010. Dr. Debelian concluded his PhD studies at the University of Oslo, Norway in 1997 on bacteremia and fungemia on patients undergoing endodontic therapy, which gave him two scientific awards from the European Society of Endodontology (ESE) and from the Norwegian Dental Association both in 1997. His is an adjunct visiting professor at the post-graduate program in endodontics, University of North Carolina in Chapel Hill, and University of Pennsylvania in Philadelphia, USA. Dr. Debelian maintains a private practice limited to Endodontics in Bekkestua, Norway. Dr. Debelian has authored 3 chapter books in Endodontics, one book in Endodontics and written more than 50 scientific and clinical papers. He is currently a member of the scientific advisory panel for the Journal of Endodontics and Endodontic Practice Today. 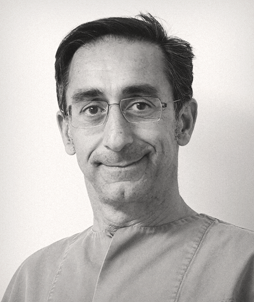 He is the director of the Oslo Endodontic Study Club and the vice-president of the Norwegian Endodontic Society. Dr. Debelian has lectured nationally and internationally on Endodontic Infections, Systemic Diseases Caused by Oral Microorganisms, Dental Traumatology, New Technological Aids in Endodontics including Nickel-Titanium instruments and instrumentation techniques and root filling materials and techniques. Dr. Debelian is also involved on hands-on courses on NiTi systems and operative dental microscopy both on conventional and surgical Endodontics and holds an instructor position at the Carl Zeiss Academy of Microscopy in Switzerland.